If you hate peeling garlic, you have the option to use its dehydrated forms: granulated garlic and garlic powder. What is the difference between the two? Are they interchangeable? Read on and find out. Granulated garlic is made from dehydrated garlic cloves. Because it is only granulated, its texture is coarse and is very similar to that of cornmeal. The production of granulated garlic involves peeling, cleaning, dehydrating, and mincing garlic. Some brands also incorporate anti-caking agents to the product to avoid clumping. The coarse, irregular garlic particles in granulated garlic trap more air. This means that there is less garlic per volume and it takes a few minutes before it releases its flavor into the dish. Because of its larger granules, granulated garlic does not form clumps easily when mixed in liquid. It is perfect for sauces, dressings, soup and other wet dishes. It is also great for barbeque rubs. On the other hand, garlic powder or “powdered garlic” is pulverized dehydrated garlic. It has a very fine texture, similar to that of flour. To make garlic powder, real garlic cloves are peeled, cleaned, dehydrated, and finely ground. Some brands may add a little anti-caking element to avoid clumping. Because of its extra fine consistency, garlic powder traps less air. This means that a volume of garlic powder yields a powerful flavor and it can release its flavor quickly. Garlic powder easily forms clumps but dissolves easily when combined with liquid. It is ideal for marinades, dishes with short cooking times, or for injecting flavor into meat. It can also be used as a condiment and is usually placed along with salt and pepper on restaurant tables. 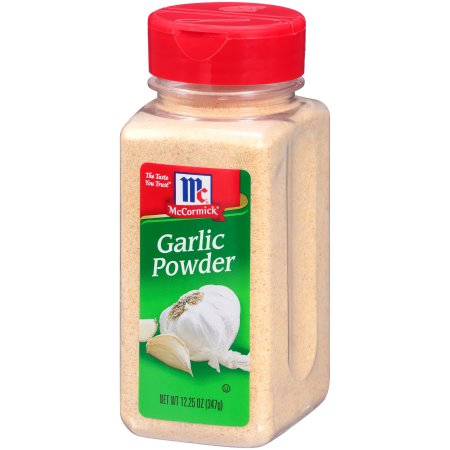 What, then, is the difference between granulated garlic and garlic powder? Granulated garlic is minced dehydrated garlic. It has a coarse texture, similar to cornmeal. 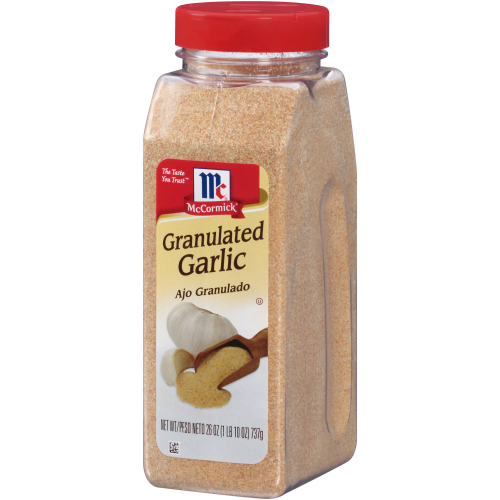 Granulated garlic offers less garlic flavor per volume and it takes time for it to release its flavor. It is great for sauces, dressings, soup, barbeque rubs, and other wet dishes. Conversely, garlic powder is finely ground dehydrated garlic. It has a very fine texture like flour. It offers a more powerful flavor per volume and releases its flavor quickly. It easily clumps but easily dissolves as well when combined with liquid. It is great for marinades and for dishes with short cooking times. It can also be used as a condiment.